We love our readers and the fancy affair gals are committed to letting you know of any MAJ saving you & your wallet can do. I recently purchased these booties from Kohl’s, they are from Rock Republic. They are majorly comfortable and adorable! 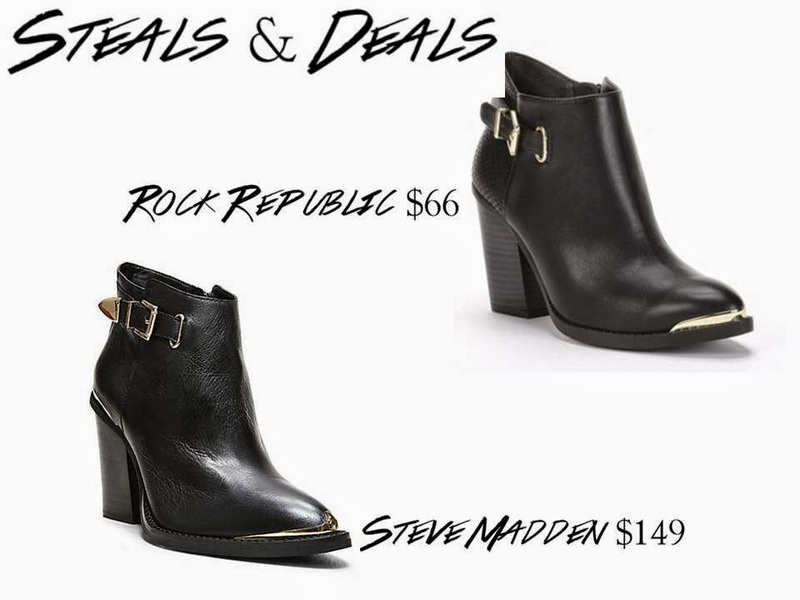 Found the same exact shoe at Steve Madden, but double the price! Just wanted to share an amazing new steal and deal with you guys for this fall season.